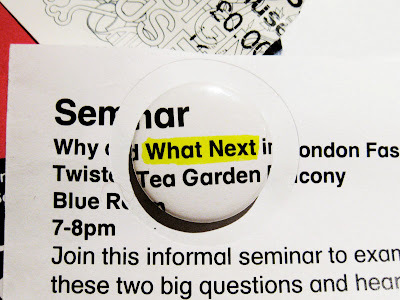 An interesting informal seminar about the future of fashion as well as magazine and blog culture at the Design Museum. I went along with Sam Hill care of Daniel Charny (thanks again). One of our favorite musings was the potential "death of the CV" due to social networking through twitter and blogging, the role reversal of potential employers/ collaborators seeking you out.